I am generally an avid reader but there is one genre of literature that sends me running in the other direction: official camera manuals. A few pages into reading one, and I can feel my eyelids becoming heavy and my mind beginning to wander to thoughts as varied as that evening’s dinner and the meaning of life. Me “enjoying” some fine literature! Thankfully there are a handful of authors who have taken on the task of publishing thorough, accurate and interesting camera manuals of their own. 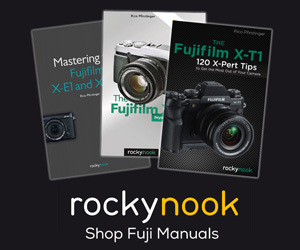 Not only are these manuals just as informative as the manufacturer’s version (if not more), but they are usually written in the first person by an actual photographer who has used the camera in various situations and can share personal tips on how to get the most out of that particular model. 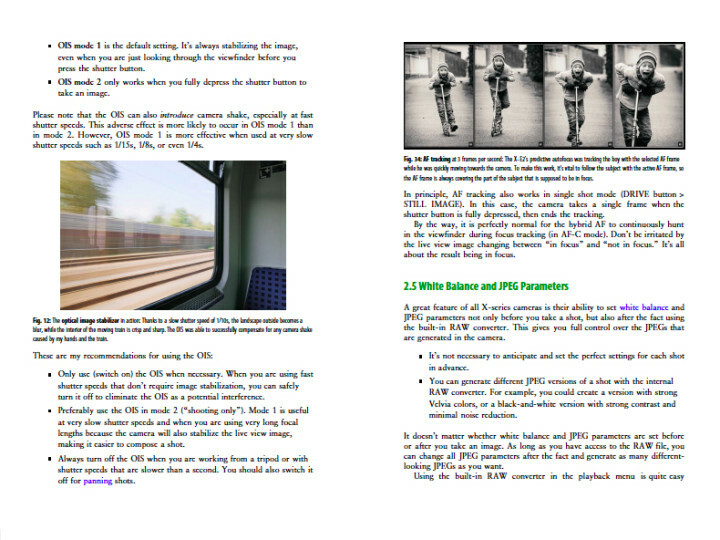 In this article, you will find six authors of mirrorless camera manuals whose writing I’ve sincerely enjoyed reading. These books may not be as riveting as The Lord of the Rings but they are certainly far more digestible and helpful than the one currently sitting in your camera box. 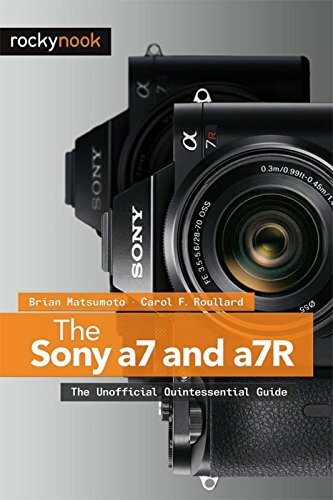 Unlike the other authors mentioned here, Brian Matsumoto and Carol Roullard always work together to create their camera manuals. Whereas Brian comes from a primarily scientific background, having recorded experiments with film and digital cameras for over 30 years, Carol is a fine art, landscape and architectural photographer with a background in IT. Together, they consistently create manuals that are detailed, extremely well-organised and approachable. 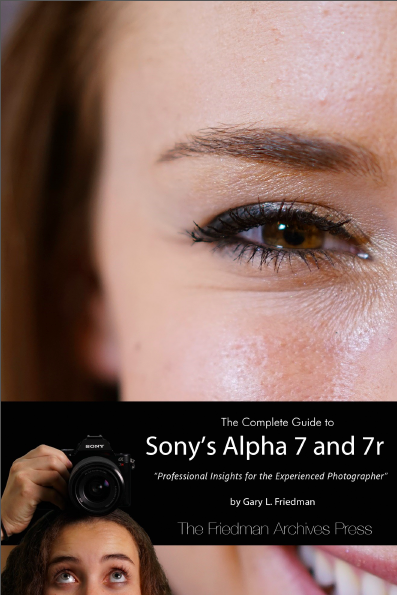 Having read their Sony A7/A7r manual from cover to cover, my impression is that their manuals are particularly appropriate for experienced photographers, which makes sense as most of their books deal with mid-to-high end mirrorless cameras. With that said, they do make a point to cover the basics of photography (aperture, shutter speed, ISO, exposure compensation, etc.) at the beginning of the book for the sake of beginners and those in need of a refresher, and do not hesitate to explain even the most banal of concepts, such as reviewing or deleting your photos for example. If you are already familiar with these concepts, it is simply a matter of skipping to the sections that interest you. A section I enjoy is entitled ‘Recommendations’ found at the end of each chapter. Here, the authors share personal tips and recommendations gathered from their own experience using the camera. You’ll also find useful tips highlighted in orange tables sprinkled throughout the book. 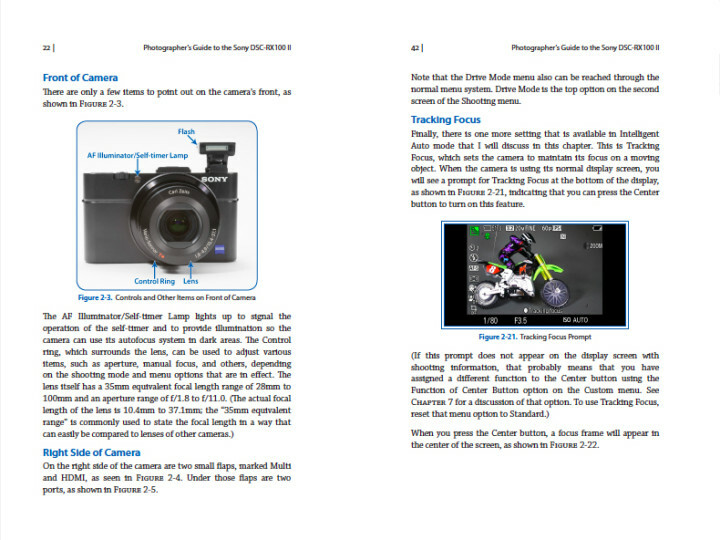 A great strength of their manuals is that they don’t simply list the functions of the camera like an ordinary manual. Rather, they make a point to describe what works well, what doesn’t, what users have complained about, how these issues can be resolved, and finally, how the brand in question can improve future models. The word “thorough” is an understatement. If I could make one small criticism, it is that the authors sometimes have the tendency to be too verbose, causing confusion for beginners. A few more images taken with the camera in question would also help to break up the long streams of text. Brian and Carol’s manuals are all available as paperback or e-books on Rocky Nook. All MirrorLessons readers are entitled to 15% off all e-book orders from Rocky Nook. Simply include the coupon code “mirror lessons” in your order! If I had to name one thing I really like about Alexander S. White’s manuals, it would be his writing style. Not only are the books well-organised and easy to follow, but the author also has a real knack for explaining concepts in the simplest terms possible, partially owing to his non-technical and friendly manner. It almost feels as if you are chatting to him over a cup of coffee. For this very reason, Alexander’s manuals make an excellent starting point for beginners and more experienced photographers alike. To write this list, I was given a copy of the RX100 II manual. Although Alexander does not include tip boxes throughout the book, his writing is littered with personal experience, which is complemented by some examples of his own photography. He uses many real life examples to explain when you should and shouldn’t use certain functions, and when explaining the settings, follows the original order of the default camera menu. 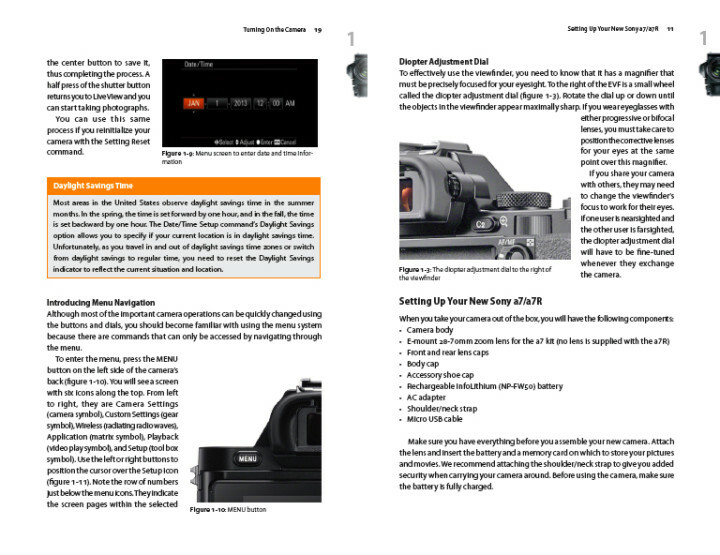 Unlike other authors, Alexander starts off the manual with the ideal settings for the complete beginner, indicating exactly which shooting mode to use and what to adjust in the menu. This means that by the end of Chapter 2, the beginner is already primed to shoot. The end of the book is equally useful, with two extremely detailed sections about Accessories and the author’s Quick Tips for getting the most out of the camera. 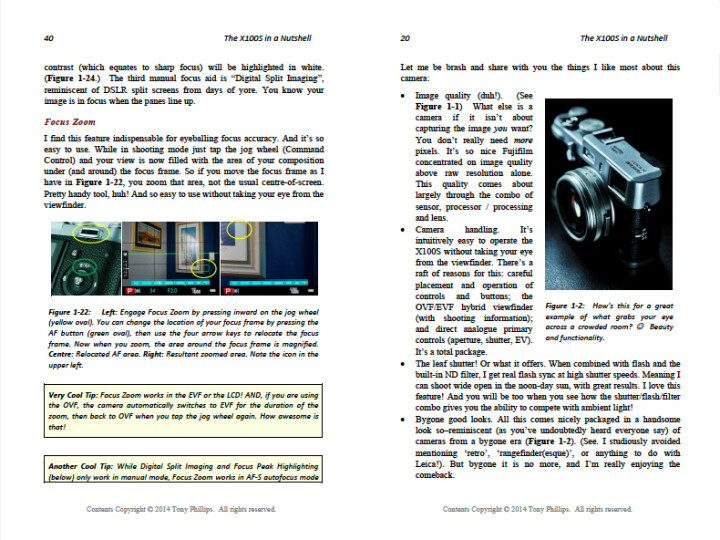 The latter is basically a condensed summary of all the tips he’s mentioned throughout the book. I would have personally liked to see more of his personal image collection but the props he uses for his example images (figurines for DOF and macro, mannequins for portraits and flash, etc.) demonstrate the concepts of photography very well. So far, Alexander has written eight manuals about premium compacts* including the three RX100 series cameras, the X100 series and most recently, the LX100. He also runs a website, White Knight Press, where you can purchase his books. *We define premium compact as any mirrorless camera with a sensor equal to or larger than 2/3-inch. Rico Pfirstinger is a journalist, publicist and photographer. 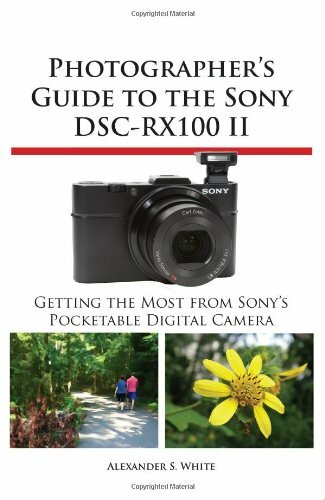 Compared to other authors, he definitely takes a more casual approach to writing his more recent camera manuals, preferring to share a list of 100 useful tips for those who have already read the official manual than detail every minute aspect of the camera in question. (Only his first two manuals about the X-Pro1 and X-E1 were complete in the sense that they covered all aspects of the two cameras.) Each tip is divided into a series of bullet points for easier reading. Whilst this style isn’t great for beginners, it is perfect for experienced photographers who want to get the most out of their new camera. Rico strictly talks about mirrorless cameras from Fujifilm, and his experience with these cameras shines through in his exhaustive though sometimes very technical descriptions. He goes into particular detail about lenses, Raw processing in-camera, JPGs, ISO and DR in the X-E2 manual I was given to review. Another great thing about Rico’s books is that he frequently links to external resources on the web throughout the book so the reader can find out more about a topic that interests him or her. Doing so keeps the book relatively short and clear of superfluous information. 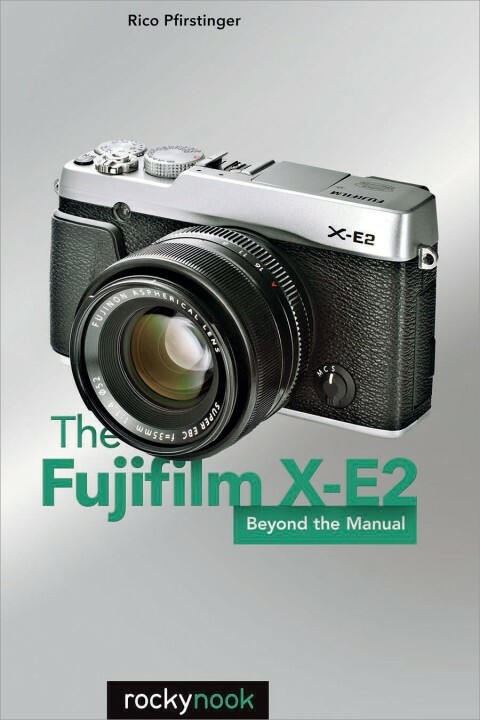 You can also read Rico’s excellent reviews and first impressions articles in his X-Pert Corner featured on Fuji Rumors. 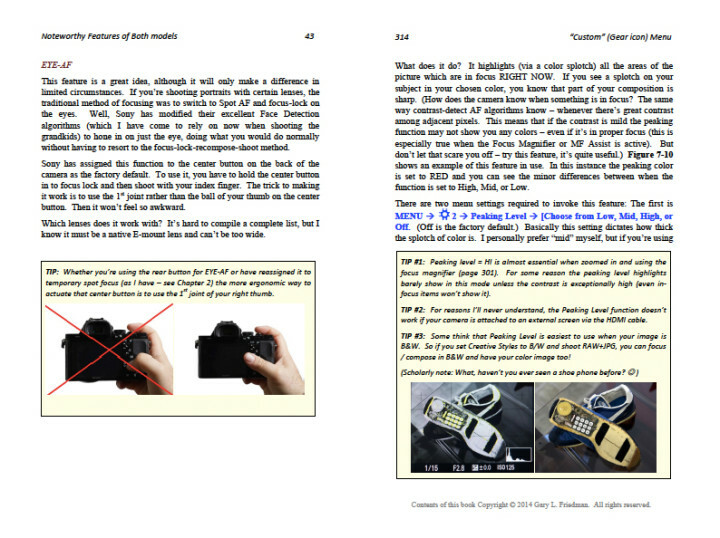 You may recognise Gary’s name as I have already written a dedicated review of his Sony A7/A7r manual. Originally a rocket scientist for NASA, during which time he patented the image authentication system used by Nikon and Canon, he later graduated to photography (with a primary focus on his stock image website FriedmanArchives.com) and has since been featured in various magazines, newspapers and books worldwide. Gary’s books are also some of the longest I’ve read but there is a good reason for this–the manuals are overflowing with gorgeous imagery from the author’s personal collection and diagrams that explain important concepts. Not only do these images break up the text but they show the reader just what the camera is capable of in the right hands. Like many of the other authors mentioned here, Gary also uses Tip boxes to highlight important points throughout the book, which deal with topics such as useful shortcuts, optimal button configurations or workarounds for tricky issues. Likewise, he includes many links to external resources so that the reader may deepen his or her knowledge about a given topic. Depending on the camera, Gary occasionally collaborates with other experienced professionals in the field on his books. These authors include Mike Hendren, Ross Warner, and Tony Phillips, the latter who is the final author on our list. If you are looking for an extremely thorough and straightforward manual about your camera, you can’t get much better than Gary Friedman’s line of books. Note: I have read that the Kindle version of his books do not display well. 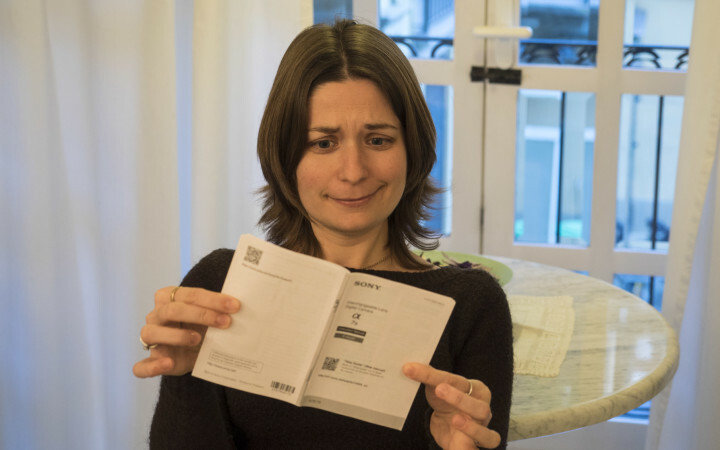 It is best to download the PDF or order a hard copy. Last but not least, we have author Tony Phillips, a photographer, writer, pilot and teacher who publishes extensive manuals about Fujifilm cameras on the Friedman Archives website. Given that Tony’s books are part of the Friedman Archives, they follow pretty much the same format as Gary’s books, including many useful yellow Tip boxes, links to external resources scattered throughout the text, dozens of beautiful images the author has taken himself and helpful diagrams to explain difficult concepts. It immediately becomes evident as you begin reading his manuals just how knowledgeable Tony is, not just about Fujifilm cameras, but about the art of photography as a whole. Since Tony assumes that, as an X100s or X-T1 user, you are already an experienced photographer, he does not dedicate any time to discussing the basics of ISO, f/stops, shutter speeds, or light and composition, and does not hesitate to dive right into technical explanations. He does however include an Appendix at the end for those who need to review. One small point that readers will either love or hate is Tony’s extremely informal writing style. He tends to write as he might speak, which makes for easy reading on one hand, but can also be somewhat bothersome when overused, such as when one paragraph contains a handful of bracketed sentences, exclamation marks and emoticons. That said, it doesn’t happen too often and given the very technical nature of his explanations, it does become necessary to “lighten the mood” at times. 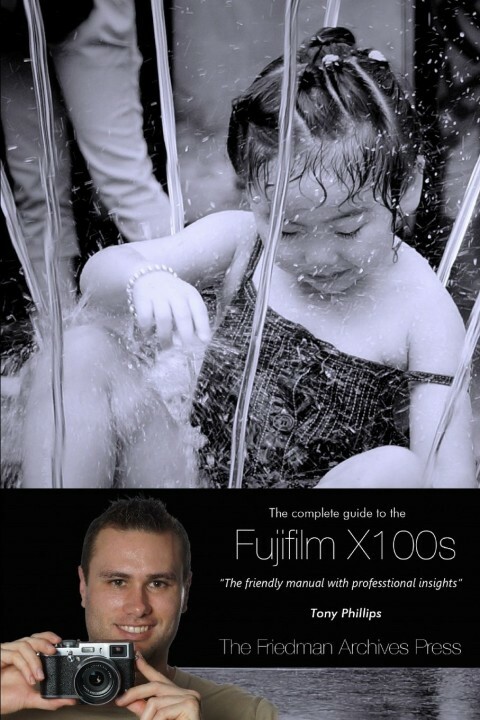 I would definitely recommend either of Tony’s Fujifilm books to users who have significant experience in the photography world, particularly those who have just switched over to a mirrorless system from a DSLR. 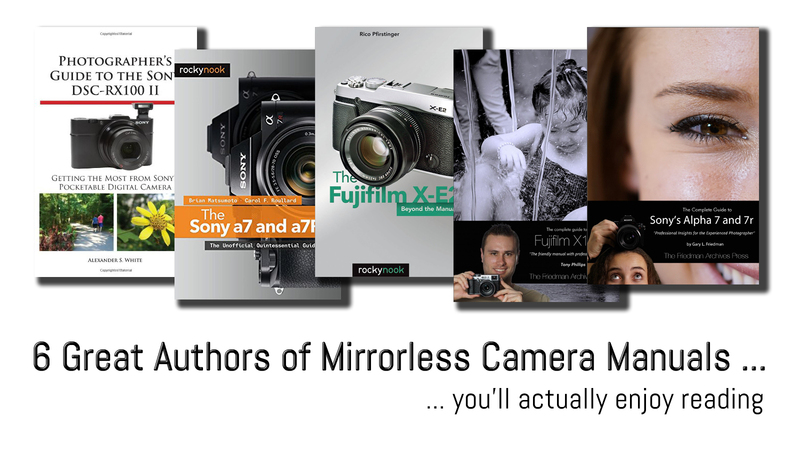 Have you read a mirrorless camera manual by one of these authors? How about an author we haven’t mentioned? If so, let us know in the comments section below!